NYC, 03/25/2019, 7:00PM. 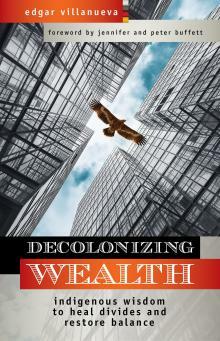 Decolonizing Wealth: Indigenous Wisdom to Heal Divides and Restore Balance. Award-winning Native American funder Edgar Villanueva weaves a provocative analysis of the dysfunctional colonial dynamics at play in philanthropy and finance, and offers a prescription for restoring balance and healing our divides using the guidance of indigenous wisdom.